The Jumparound is a static jumper that is suitable from 6 months. 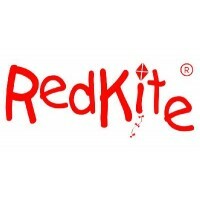 All products supplied by the Red Kite Baby Company have been thoroughly tested, approved and fully meet British and European standards. Intended only for children who can sit unaided, approximatley 6 months of age. Not intended for children who can walk by themselves or weigh more than 12KG. Let your child develop their imagination and play as the mood takes them with this colourful Play A Round.All of the elements produce interesting nois.. Bounce to the moon and back, all in a day?s worth of playtime. There?s so much for baby to discover with rainforest pals on this Jumperoo? entertainer.. Bounce to the moon and back, all in a day's worth of playtime. There's so much for baby to discover with sweet animal friends on this Jumperoo? ? musi.. Nothing to spoil the fun. Jump Around offers your child countless options for keeping busy, while always discovering something new, regardless of whet.. Suitable for children aged 6+ months, weighing up to 12 kg Multifunctional product with 3 different ways to use – as activity baby center, as ju.. Your little monkey will have a blast in this 2-in-1, safari-themed entertainer - it "grows" along with your child! As your baby sits in the comfortabl.. Suitable from 6 months old. This highchair is a pratical compact highchair, with its padded wipe clean seat for easy cleaning. It also includes a hand..
SPECIAL 10% INTRODUCTORY DISCOUNT The Jumparound is a static jumper that is suitable from 6 months. Deluxe baby jumperSuitable from 6 monthsA multi-..